Providing services to children at risk in Durban since 1918. 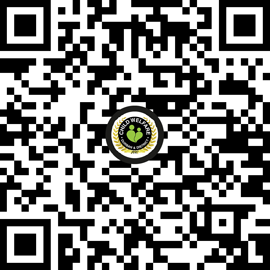 The largest Child Welfare Organisation in SA! 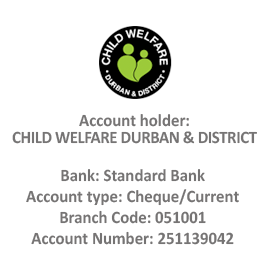 CHILD WELFARE Durban & District cares for thousands of children within the Durban area. There is always something fun happening for the whole family. All proceeds directly benefit the children of CWDD. Do something inspiring and become a volunteer! If you have some time to spare, we would really appreciate your help. There are always items that we desperately need assistance with on an ongoing basis or for a once off project! If you have concerns about a child’s safety and wellbeing, including a child in your family, you can use this form to tell us! As a non-profit organisation, CHILD WELFARE Durban and District (CWDD) commits itself to working in the cause of justice and ensuring the well-being of children by protecting their rights and promoting their quality of life, as well as that of their families and communities. To protect, investigate and provide care to children in need, including neglect, abuse, abandonment, orphan-hood, children affected / infected by HIV and AIDS, and children who have been living on the street. To establish, maintain and conduct places of care, incorporating therapeutic programmes. To promote early childhood development. To promote wider community participation in child and family welfare services. Donate your new or reusable items, including clothing, shoes, linen, books, toys, among others to our DONATION STATION! Visit our CHARITY SHOP for thrift shopping with a purpose. A jumble Sale is held at CWDD every month, look out for the next one and bring the family! All donation and sales directly benefit the children of CWDD! No event posts were found.